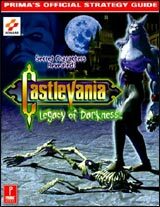 The prequel to 1998's Castlevania on Nintendo 64, the first game in Konami's seminal vampire-hunting series to feature 3D graphics. Players guide a mysterious character named Cornell from a third-person viewpoint while advancing through 14 levels in Wallachia, Transylvania. The setting takes place eight years prior. For 1 Player.